This new edition of the Oxford Handbook in Geriatric Medicine has been expanded and updated to reflect the substantial changes in clinical practice since the previous edition, including the Francis report and the impact on care for the older patient, the National Dementia Strategy and screening, and the evolution of the role of Geriatricians in other specialities. It includes new material on risk scoring management of TIA, and a new chapter on the older surgical patient. 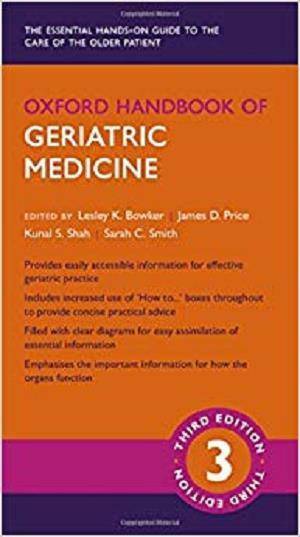 With an ageing population, geriatric medicine is increasingly central to emergency and internal medicine in hospital settings and in general practice. Diseases are more common in the older person, and can be particularly difficult to assess and to treat effectively in a field that has limited evidence, yet makes up a substantial proportion of the work of most clinicians. 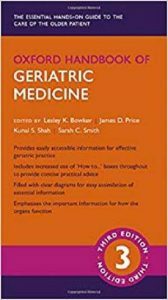 Using clinical vignettes and how-to boxes to provide practical advice on common problems, this is a practical, accessible, and essential handbook for all medical staff who manage older patients.